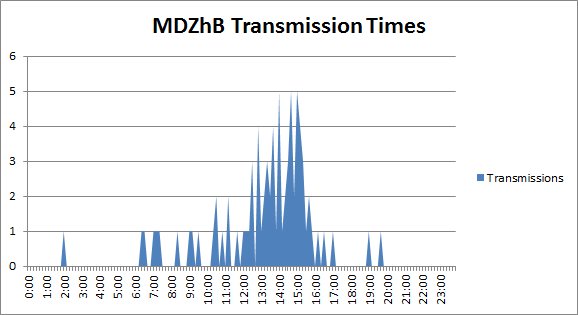 The following chart represents a graph of MDZhB’s (formerly UVB-76) transmission times. This was done by taking time information of all known MDZhB transmissions from 11 September 2010, to 20 January 2011. There have been 80 transmissions in that 131-day timeframe, averaging out at about one transmission every other day. The transmission times were rounded to their nearest ten minutes to simplify the representation. As you can see MDZhB, broadcasting on 4625 khz, has been transmitting the majority of its broadcasts between the times of 12:50 and 15:20 UTC. If you want to catch a live broadcast, your best chance is to listen within that 2.5-hour timeframe. 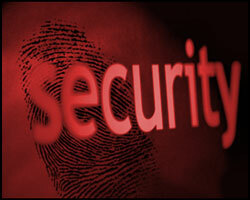 For more info follow the UVB-76 Activity Updates page, or join the IRC chat: #uvb-76 @ irc.mibbit.net. Data from danix111’s UVB-76 archives.